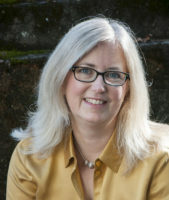 Dr. Jennifer Dill is a professor in the Nohad A. Toulan School of Urban Studies and Planning at Portland State University and Director of the Transportation Research and Education Center (TREC). TREC houses the National Institute for Transportation and Communities (NITC), a national university transportation center, and the Initiative for Bicycle and Pedestrian Innovation (IBPI). Dr. Dill’s research focuses on the relationships between transportation, land use, health, and the environment, with a focus on bicycling and walking.